Content, secure and at peace with the world. Feeling quite at home in this place of retreat. The rapture of each one’s journey my food and sustenance. This shroud of mystery held me willingly in its grasp. So enthralled was I by the seeking of knowledge arcane. Was etched by life’s sculpting upon the walls I had built. Others to break the spell and knock upon the door of my sanctuary. Out in loneliness as the memory of my place in the world took hold. Now assured in the fear that none other would come near. That had caused me to forget the simple joys of the mundane. Echoed within the walls I had built and upon my door. I stood quite still excited by the sound that spoke of one so near. Who’s there?… I called once again as I trembled at the thought of another so near. Light flooded in and the fragrant air of a world I had left behind filled me. As the spell of willing recluse and Hermit’s hand now loosened their hold. I Am! The one who is content, secure and at peace in the world! What beautifully crafted spaces have you built to keep you at arms length from the world? And, how has it affected your Magick? Next week’s post will continue these thoughts. The Hebrew alphabet is called the Aleph-Beth and each of 22 letters is assigned to a specific Path on the Tree of Life. Each letter has multiple meanings associated with it and carries the energy of the specific word associated with it. When used in conjunction with the attribute and energy of the Path of connection on which it is placed, there is a greater depth of esoteric knowledge to be gained about the inner keys and workings of that Path. It should be noted that this is merely an extract of a much larger process of study and should only be considered as a piece of the greater puzzle of a Hermetic system that has its roots in Jewish Mysticism and has stood the test of time in its efficacy and use as a tool of deeper gnosis within the Western Hermetic Mysteries. I encourage you to look at the references at the end of this writing and formulate your own opinions about its fuller application to your own spiritual path. This post will provide some basic information about Kaph and its work on the Path of Opening. 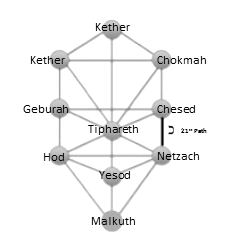 Kaph is the Hebrew letter placed on the 21st Path connecting the spheres of Chesed and Netzach. Kaph means open hand, or specifically the “palm of the hand” in English. An open hand invites participation. 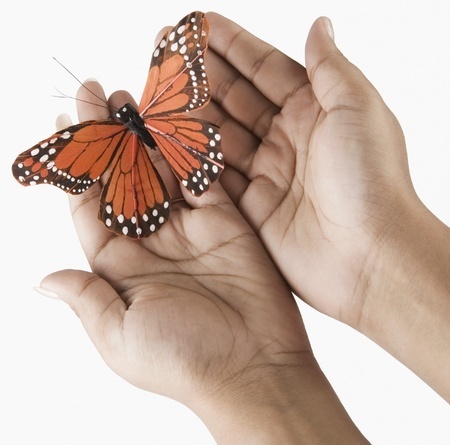 The open hand indicates offering and receptiveness to what is offered or what is to be received. The center point of the hand is the palm. This is where all pools and accumulates in its fullest form and it is from this central space that what was accumulated flows freely out when the hand is opened and flattened. This energy speaks of the receptiveness to work co-creatively and in harmonious collaboration. In divination, the palm of the hand reveals ones destiny and choice is then offered by free will as to what will actually come of that pre-determined fate. This energy moves through this path of creative expression. The anticipated outcome from the influx of flow of each of the connecting spheres would be a product of elevated form. The test lay in what course is chosen as each has desire for its own dominance. In order to understand the work of Kaph and its path, you need the point of reference of the connecting spheres that lay at either side of this path. The Sphere of Chesed is also known as Gedulah or the sphere of majestic authority expressed through the refined Power of Love. The love of Chesed is one that has the ability to see well beyond what is ego driven desire and what is the correct alignment of heart infused by Higher Will. 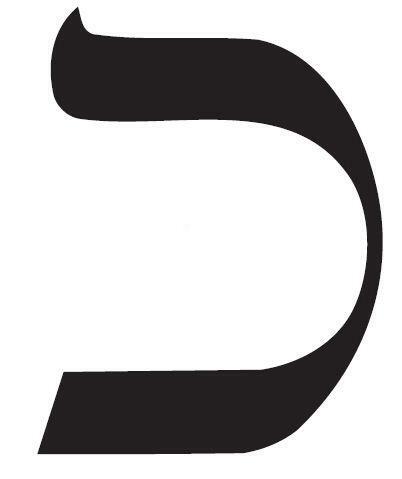 Chesed is known as the Mercy. Love and the broad perspective that is all inclusive becomes the merciful action that can justifiably wield its power in a place of Divine authority. The Sphere of Netzach is the place of establishing the balance of hedonistic and aesthetic ideals. Love is the primary focus, but not at the expense of over indulgence in physical pleasure. This is also the place of expression of Love of Nature in all her forms and the creativity that is called forth to fulfill that task. Netzach is known as the sphere of Victory. The principle of victory here is not one of wanton take-over and infringement of another’s space, but rather victory that is found within the triumph over oneself. The 21st Path is one of opportunity for grace. The state of grace has many meaning but within this path it is the reflection of the beginning of refinement of self and surroundings to become in alignment with the spiritual aspiration of selflessness and greater perspective. The lens of the camera opens and the world in which we claim our victories is seen for its narrow view. As the lens opens wider the expanse and truth of what we have claimed falls away and the real worth and value of those experiences is revealed as part of a larger whole that encompasses the victories of much more than ourselves. What happens in the stages between as each of the extremes coalesce on central ground determines the outcome of ascent to claim the Higher Self or descent for further refinement and accumulated experience. The same may be said of the clenched fist that inflicts pain in its expansive thrust or the choice of reaching out with hand open to gently caress and comfort. The energy of Kaph is the choice of remaining in a state of openness. Of trust that all will be well when receptivity is available and also knowing that there are times that call for the harsh fist that crushes what it grasps. This is the ultimate lesson of Victory and Mercy and what measures will be taken towards the balance of each in accord with what is right action. Each of the Paths of the Tree has the attribution of an element. The 21st Path is one of water. If we think of the properties of water and the image of the open hand the invitation is one of flowing and graceful movement. As we move our hands, currents of energy flow, move in response and are made to be responsive in a variety of ways. The great works of art created by the hand move the emotional waters within the individual. Kaph is the path of opening. Kaph is the human expression of physical form reaching towards another. Kaph is victory that is birthed from the creative hand that gently holds the fragility of beauty in its palm. Kaph is the mercy that draws to itself ability to preserve life and then release it so it may soar. 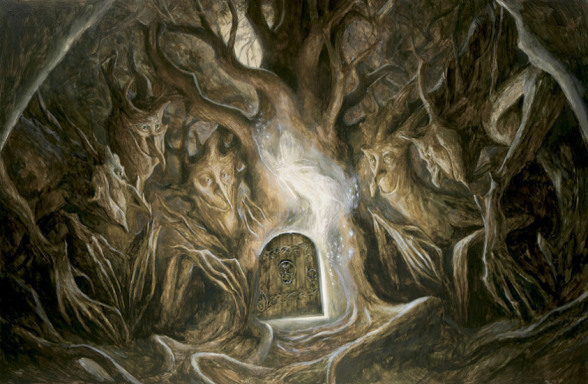 This is an immersive experience in the Hermetic Tree of Life taught with Pagan sensibilities. There will be workshops, pathworkings, a ritual, and evening discussions. The ritual involves literally walking the Lightening Flash from Malkuth to Kether with the experience of a mini-ritual within each Sphere. The glyph of the Tree is laid out in 9 foot circles connected by paths covering a large field. Climbing The Tree is an incredible experience to plant the tree deep with yourself. Pre-Registration is required. 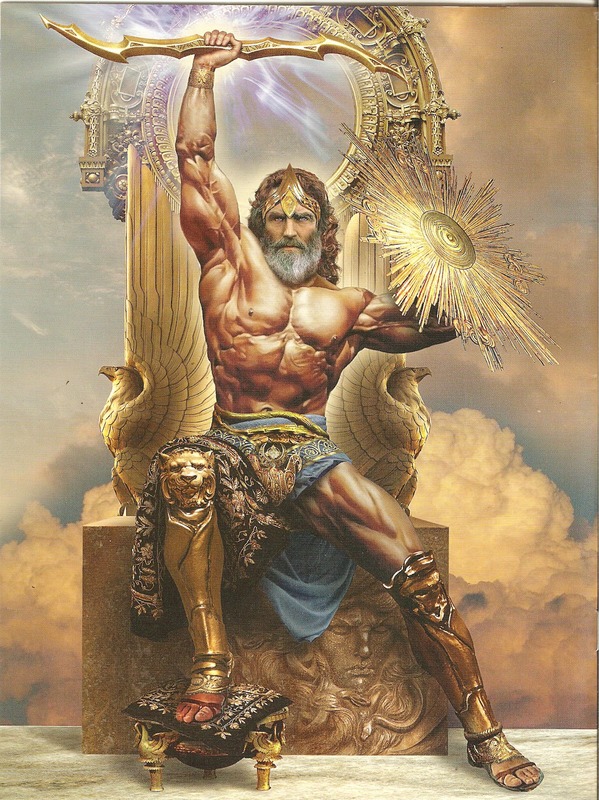 I wrote last week about the God Jupiter and his abundance. 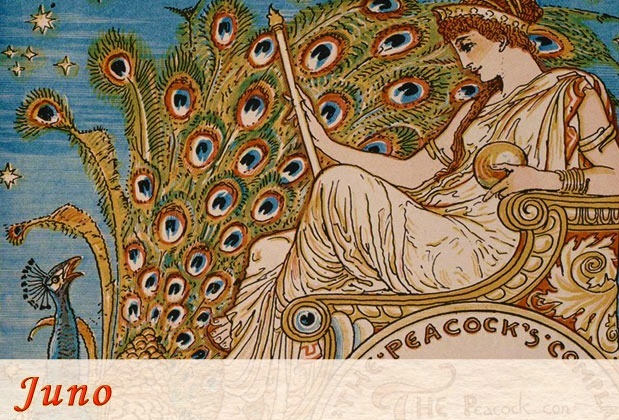 This week’s post is about the Roman Goddess Juno who, like Jupiter, is expansive and multi-faceted in her attributes and abilities. She was considered the Queen of the Gods and as such was connected to all aspects of life notably those that concerned women. In the broadest sense she was the embodiment of the feminine principle and seen as the protective guardian “spirit” (Juno) of women in the same way the “genius” was attributed to men. Of the Roman Gods none but Apollo were worshipped more widely or more often appeased when thought to have been provoked to anger. Juno, in her more ancient aspect is often depicted as the jealous and vengeful wife of Jupiter, in his archaic form of philanderer and womanizer. She would stop at no means to attain her ends and was in particular a vital and powerful ally for women regarding matters of marriage and their life cycles. These negative traits gave way in light of her overwhelming devotion to women and their safeguarding and she became a most beloved Goddess to be called upon in all affairs. Juno was the daughter of Saturn and Rhea and sister (as well as wife) to Jupiter. The Roman Poet, Ovid speaks of Juno as being jealous of the birthing of Minerva from the head of Jupiter and sought the aid of Flora who gave her an herb that enabled the birthing of Mars. Juno’s other children are noted as Vulcan, the God of Fire (and Volcanos) and Juventas, whose name means “youth” and rejuvenation. These became energies associated with Juno as well, having bestowed them on her daughter. Juno was noted as a Goddess of the “Capitoline Triad” and in this role was known as Juno Regina, or Queen Juno. As the Juno Moneta (she who warns) she guarded over the finances of the empire and had a temple on the Arx (one of two Capitoline hills), close to the Royal Mint. This attribution ensured her place as one of governance over the State and its affairs. As Juno Lucina she became the Goddess of childbirth. 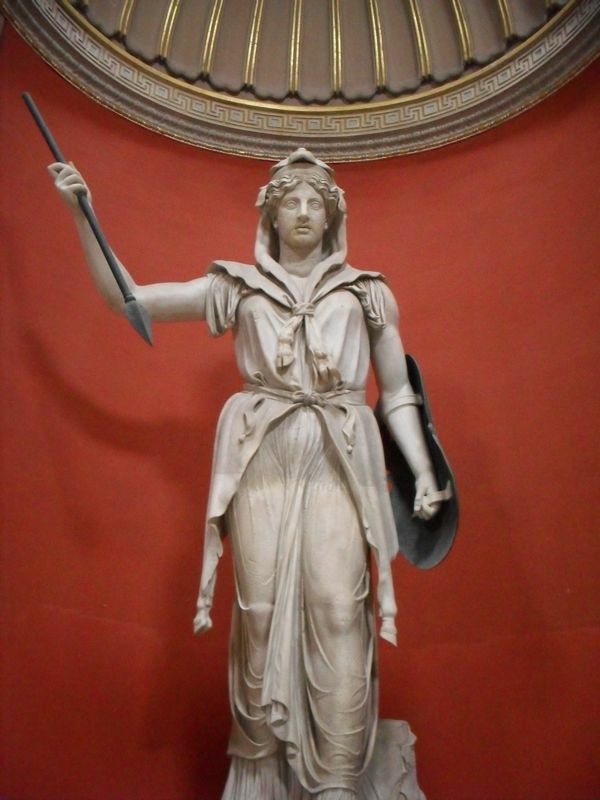 As Juno Sospita (Saviour) she was depicted wearing battle attire, ready to protect the welfare of women and eventually, as her popularity and power grew she became known as the defender and protector of the state. This spoke to both her sovereignty and fertility in maintaining order. “ The first days of each Roman month, the calends, were sacred to Juno, as was the entire month of June, which is still named for Her. Five cities in Latium (the region of the Latin tribe) also named a month for Her: Aricia, on the Via Appia; Lanuvium, where She was worshipped as Juno Sospita (“Juno the Saviouress”), Praeneste (modern Palestrina), Tibur (modern Tivoli, the resort town of Rome), and Laurentum, located between Lavinium and Ostia on the coast. And as Juno is the Roman Goddess of Marriage, it is no coincidence that June is still considered the proper month for weddings.” 3. And, Juno’s main festival, the Matronalia was held on March 1st. On this day married woman asked their husbands to give them money to make offerings to the Goddess. There are many ways to incorporate Juno’s energies into your workings and daily devotionals. Call upon her to rejuvenate your relationships. Call upon her when you need courage and strength in support of a worthy cause. Call on her in childbirth and to ease the monthly cycles of menstruation. Call on her as Queen of the Heavens and welcome her into your home to weave her magick of new beginnings and harmonious relations. 2. E.M. Burens. Myths and Legends of Ancient Greece and Rome. New York. Maynard, Merril and Co.
Jupiter is the largest planet in our solar system and with dozens of moons and an expansive magnetic field it stands as its own miniature solar system. Taking these things into consideration as well as the Mythos of the God(s) associated with this planet makes Jupiter’s energy prime for workings relating to abundance, most notably financial prosperity. This speaks both to the laws of attraction but also to the ability to being open and receptive to that attraction through cultivating a broader view of what the possibilities and potential may be. Jupiter (Jove) is the Roman counterpart of the Greek Zeus, and as such enjoys all of the attributes and power that Zeus held. He is the King of the Gods, lord of the heavens and called “ The Shining Father”. He was known most notable as Optimus Maximus which means all-good and all-powerful. This name refers indicates the control over not only Cosmic matters but those of the State of Rome as a God who executed and distributed the laws and made his will known through the oracles that were consulted in political matters. He is often depicted carrying a thunderbolt, which gives reference to his control of the natural world and all of the energies and catalytic events that coursed through it. 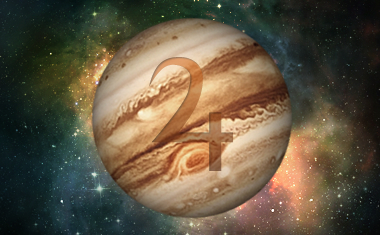 Jupiter is the Ruling Planet of Sagittarius and Co-Ruler of Pisces. Calling upon the expansive nature of Jupiter in support of workings done under these astrological signs will carry a slightly different emphasis. Jupiter as the ruling planet of the astrological sign of Sagittarius presents an energy that works on the principle of will to action. Sagittarius is a Fire Sign so the expansive nature is one of dynamic and brilliant light acting as the spotlight for drawing to itself what is desired. If we consider the far reaching networking accomplished in release of the fiery arrows of the Archer and the precision and keen sight needed for their exact aim Jupiter’s qualities take on the feel of flexible expansion that has the ability to encompass and be inclusive of everything it extends out towards. Workings of attraction and specifically, abundance benefit using this potent energy since the basic premise and qualities sought in those types of workings are already an inherent feature of Jupiter’s natural powers. When Sagittarius sets sights on its intended goal the result is often charismatic in the magnetic resonance created and the success of attraction of what is desired. Jupiter is the secondary ruler of the astrological sign of Pisces. Here we find the aspect of the need for detailed and well thought, specificity to clear away the sentimental murkiness of what we perceive that we want versus what is actually within our grasp. The cooling and healing nature of Pisces’ energy combined with the expansiveness of Jupiter enhances workings that are emotionally charged and serve to create an abundance of healing and calming energy. The caution here is the expansion of what is already a very day dreamy type quality that flows through Pisces. The boon is the overflowing compassion that Pisces has for humanity and if called upon to expand with the assistance of Jupiter’s magnetic qualities, this compassion can be infectious in its effect bringing about peace, harmony and deeper emotional connection. I recently taught a class about operative magick and you will find a very simple spell below that we crafted for financial prosperity and stability. As with all spell work it is important to maintain the attitude for a successful working with the intent that it be of “harm to none and highest benefit to all”. As much as we wish financial growth, I’m sure that all would agree that the preference would be appropriately earned receipt that is not gained at the expense of loss by another. Planetary Seals, The Intelligence and Spirit of the Planet, Magick Squares, Qabalistic Attributions, Planetary Hours, Solar or Lunar Phases, Color, and many more. Space does not permit explanation of these and without having a firm understanding of why you are using a particular ingredient in any magickal working and how it interacts with whatever else you have added to the mix can produce very unstable results, if any at all. My goal was to provide something simple, yet effective that could be executed by anyone at any level of basic understanding of magickal work. Always remember, that “with great power comes great responsibility” and I would add that with more knowledge comes greater selectivity in its use. A piece of paper that will fit neatly without folding or rolling into the bottom of your container. Each of the Seven Elder Planets rules a specific day of the week. Thursday, is ruled by Jupiter, so choosing a Thursday as your working day and bolstering each Thursday thereafter, would enhance the energy of the work. Gather your tools and select a space where you will not be disturbed for the working. If you are able to set up a small altar space that you can leave your container on that is fine, but not necessary. If you wish to incorporate a candle (To be lit during the working as an object to signify the start and ending of the work to be done) or colored cloth, these could be used on whatever working space you have chosen. There are varying opinions about the specific planetary colors, so I will suggest that you use whatever color you associate with financial gain. Green is the obvious choice representing money, fertility and growth, but go with whatever speaks to you. Take some time to quiet and still yourself in readiness for the work at hand. If you have chosen to add a candle, now would be the time to light it to signal to the mundane working you that sacred work is about to be started. Take some deep cleansing breaths and see yourself filled with the positive and expansive energy that will produce the desired results. When you feel ready, begin by taking up the container (with lid) that you have selected. Hold it in your hands and pour the intent of its being the vessel that will hold the energy of magnetic attraction for prosperity. Now, close your eyes and envision this container in your mind’s eye in whatever etheric form that you strongly identify with as prosperity. You may see it transform into a money sign, a wallet or bills of money itself; essentially, whatever image to you represents the prosperity of like attracting like. Breathe as much detail and energy into this image as possible, feeling the resonance of what you desire and what the vessel of that desire will be. 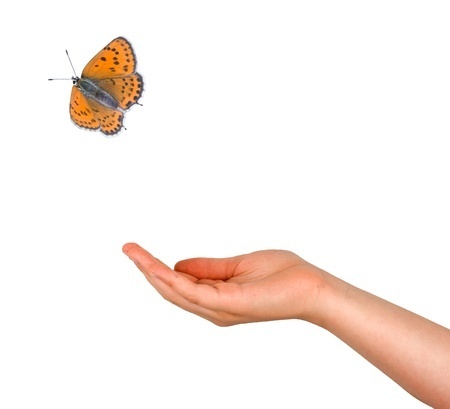 Hold this image strongly as you open your eyes and place the physical container on the surface you are working on. Next, draw the glyph of Jupiter on the pre-cut paper. As you hold pen in hand imagine the energy of your intent flowing through your manifest form of extension, actively (kinesthetically) creating the physical expression of Jupiter’s energy. When completed, hold the paper with glyph in your hands and fill it with your intention of expansive abundance. Feel the magnetic energy of the glyph resonating with the magnetic energy within you and place it to lie flat at the bottom of the container. Next, pick up your $5 bill and holding it in your hands, pour the intention of its attracting additional monetary gain to you. Envision this single bill becoming several bills, each flowing in abundance to you as needed and each acquired with harm to none. When you feel sufficient energy and will to intent has been poured into the money, place it in your container on top of the Glyph of Jupiter, securing it shut with lid or top. Placing the object in a sealed container provides the structure for that thing to manifest its energy of attraction within. Holding the container and its contents in your hands, take some time now to pour more energy of intent into the container and the manifest representation (the Glyph and $5 bill) of what is desired that is contained within. Envision yourself standing as grateful recipient of a dynamic and stable flow of abundant prosperity. When it feels full and active in its energy, offer up thanks for the success of this working and to all those energies seen and unseen that will aid in its positive outcome. Place the container somewhere that it will not be disturbed or opened. And, if you used a candle, gently extinguish it using your finger –tips or snuffer to signify the completion of the work you have done. Do not open the container until the goal is complete. Leave it undisturbed to grow and rise to perfection. Think about a cake baking in the oven and the warning not to open it until it is done because the addition of air and change in temperature will cause the cake to fall flat in the middle. Ongoing: Continue to enliven this spell every Thursday until you have reached your financial goal. At each session, call up the attitude of prosperity within you, and holding the container (do not open it), pour that renewing intent into it. See in your mind’s eye the flow of funds that are needed in a steady stream as needed and appropriately acquired. And always remember to offer up the space of gratitude for what has been set in motion, achieved and what will be forthcoming. If this spell is worked before the Solar Transit into Gemini on May 20th, you could additionally use the anchor of Sun in Taurus to stabilize and root the working in the manifest realm. Taurus is the quintessential sign of experience for all things concrete, physical and manifest, including financial gain, in form. If you would like to know more about the energy of Taurus, look at the resource in the list below. A Final Note: There are many variations on this spell that can be done. The simplest version I use ongoing is to carry a small piece of paper that has the glyph of Jupiter on it wrapped around a folded $5 bill in my wallet. Since beginning this practice, I have had what I needed financially at exactly the opportune time. Often it has been within a few dollars short of the actual amount, but this has worked consistently in the case of car repairs that were costly, but somehow- “with harm to none”- the extra funds were made in the form of book sales or workshops taught. At some point as you pursue a spiritual path you will encounter the term “journeying”. A spiritual journey may take many forms and is not always what you expect it will be. This journey may be physical in component, such as a pilgrimage to a scared site or more surreal within the realms of consciousness and subtle body. Some of these are initiated and guided by shamans, witches, gurus, therapists or others who have been trained in such processes. 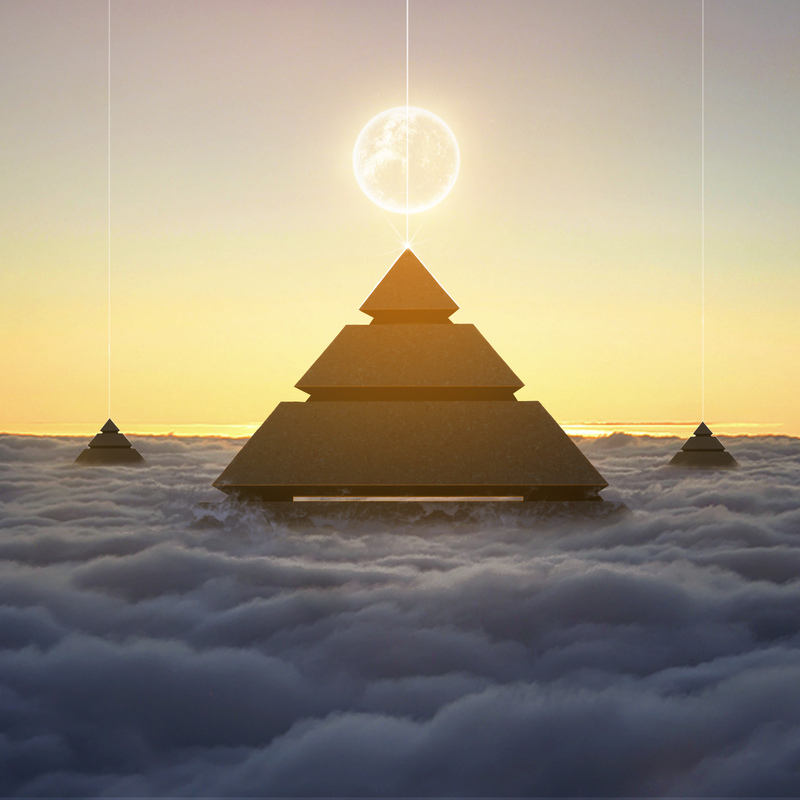 Some are self-initiated through lucid dream work, meditation, astral travel or self-scanning. These are those journeys of intent that we choose to set aside time and space to execute. These are also the journeys that become part of the tool box of learning we use as we build the scaffolding that supports our aspiration towards spiritual pinnacle. Whatever the vehicle of transport is, the intent is one of change, transformation and growth. One of the primary contributors towards making the use of spiritual journeys effective and viable tools for spiritual growth is the way in which the consciousness responds to these inner travels and the expansion of that state into realms that are not of manifest reality. We remain in the waking realms of conscious thought for most of our day so that we can function in the physical world in the way that is expected and required. The forays into awareness of limitless and timeless space are those we encounter in a dream state as we leaving our physical state of awareness and entering into one that moves outside the boundaries of space and time. 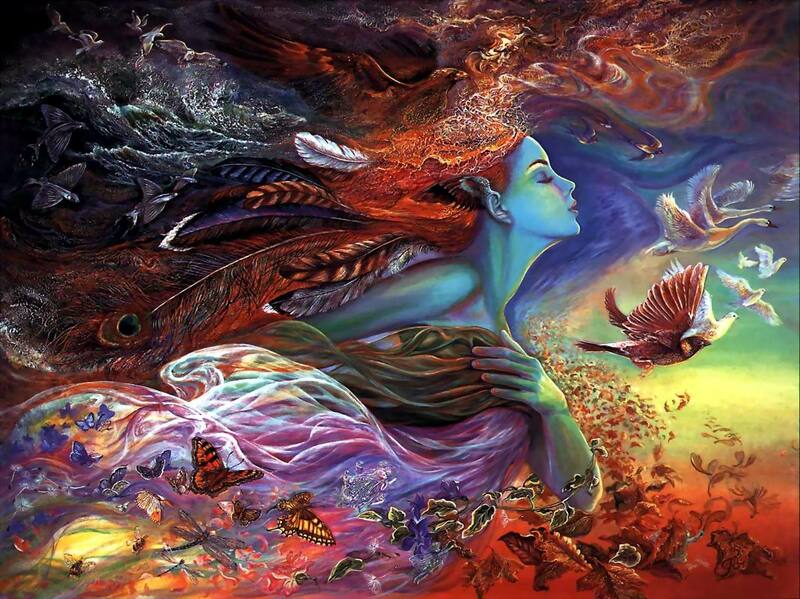 If disciplined sufficiently, this dream state can become one of lucid (or conscious) dreaming. The normal dreaming mind surrenders itself to the needs of the physical body for rest and unencumbered and unfettered is now able to move into the subconscious and beyond. Those journeys we experience that are guided by the drum of a Shaman, the guided pathworking that is part of a workshop or ritual are a combined effort of the surrender of consciousness towards expanding awareness by the one embarking on the journey and the triggers of sound, spoken word, etc… of the one facilitating the experience. This is the reason that when a group participates in the same pathworking or shamanic journeying, there will be a variety of responses and reports regarding how deep the individual was able to go, the information received and whether it overtly “worked” or not. Suspending our state of alert consciousness is for most not always an easy task. Control factors largely in how flexible that surrender is. The element of trust looms large, particularly in a setting of guided or group work and as a society we have been conditioned to mistrust even our own self-guided experiences and their results. Creating an environment that is conducive to allowing the consciousness to move freely and in an open and receptive manner and incorporating visual stimuli that is familiar and is associated with the goal at hand opens the inner paths that are part of the function of memory. Incorporating sound, as in the case of drumming for Shamanic journeying, creates a field of resonance that the seeker is carried upon energetically towards what is being sought. Toning, chanting, relaxing or atonal music produce the same results if constructed in careful manner to affect the ebb and flow of energy and the peaks and dips of consciousness. Stirring within something that resonates with those parts of ourselves that are not normally accessed in this way. The alert conscious states takes in the stimuli, processes it through the receptors of recognition as the subconscious opens revealing the memories and information that is more deeply anchored to what has entered into its deep waters. Although the setting we create as we enter into a journey of consciousness often serves as the catalyst toward opening up the appropriate neural pathways, there is no need for a secluded space, candles or other ritual paraphernalia. We generally associate journeying only in the setting of spiritual growth, but the most common form of journeying is one that largely remains uncategorized. This is the journey we take while daydreaming-something that we all have engaged in at one time or another. Imagination and visualization factor highly into this experience and depending on how deeply you can disconnect from the mundane world surrounding you, can be as real and visceral in sensation as any physical experience would be. These are all the same components described in guided spiritual journeying, albeit in this form the steps are transparent as we slip into whatever world we have created. One of my favorite forms of journeying is in using and writing Pathworkings. Pathworkings take you on a journey through an inner landscape of keys that will unlock the stores of memory and bring to the ultimate destination of transformation. Actually, the writing of the Pathworking becomes a journey itself, as I allow my consciousness to open to being receptive as the setting, keys and environment unfolds, drawn up from the depths of the subconscious. The exercise below is a pathworking that incorporates physical and astral journeying in the creation of a Temple to be used for your personal inner work. Blessings on your journey! When you have established the space to your liking, take a moment to look around at what you have created. Take a mental picture of how this space looks. Make note of the feelings evoked when you scan your creation and the anticipation you are feeling at the thought of return to this space to renew and practice your craft. Allow all of this energy to wash over and through you and as you scan the last object you feel the mist of veil forming around you. The clarity of your Temple begins to fade and you find yourself once again as observer looking at the blank inner screen colored in the veiling that just surrounded you. Breathe into this space as observer and the knowledge of gateway that is available at any time for your access. Bring your focus of awareness back into the pattern of breath- the rise and fall of your chest and the expansion and contraction of lung. Bring your awareness into the physicality of your body on chair or floor- the sounds of the space in which you are sitting. Breathe deeply and fully and when you are ready and fully re-anchored in your physical being, gently flutter your eyes open. When you have completed any given task you decide upon always take a moment to scan your surroundings, making note of any changes. Take some time to offer up thanks to the support of this space and any insights received. Return stepping through your doorway noting the sound of the door closing gently and securely behind you. The path of stone you created stretches ahead of you. Take a deep breath in and begin walking back on the path, reaching a few stones away and finding yourself enveloped in a gentle mist of transition. You step through and find yourself standing once again as observer of this inner screen. Breathe into this space as observer and the knowledge of gateway that is available at any time for your access. Bring your focus of awareness back into the pattern of breath- the rise and fall of your chest and the expansion and contraction of lung. Bring your awareness into the physicality of your body on chair or floor- the sounds of the space in which you are sitting. Breathe deeply and fully and when you are ready and fully re-anchored in your physical being, gently flutter your eyes open.